When I did my concealed carry training one of the key things I was taught and cautioned was this: People live in three levels of awareness. 1) Green – this is a level where a person is not concerned with anything other than themselves; paying attention to nothing unless it is directly shoved in their faces. “Skipping through the daisies” people. They believe nothing bad will ever happen to them—especially if they are a good person. They are totally unprepared to face human violence—which dirtbags exploit. Maybe they take minor security for their homes and themselves. Maybe not. 2) Yellow – these are the kind of people who observe the world around them. They carry a pocket knife, keep first-aid kits in their vehicles, get concealed carry licenses and carry their CCW; pay attention to strangers in their neighborhoods; try their best to remember faces—paying attention to details in people and places. They prepare—not expecting bad things to happen, but aware of the fact that the world is not all rainbows and butterflies. 3) Red – these people are what you might consider paranoid (and maybe they have a good reason). They write down the license plates of suspicious, reoccurring, vehicles in their neighborhoods. These are the people you want to go find if the zombie apocalypse happens because they’re definitely ready for anything. Now, I’m not saying that any of these phases are “better” than the others or one is right or wrong. This is the U.S. A. Live your life the way you want—you have that right. But if you have a CCL, you need to be living in Yellow, at least. Especially where you live and when you travel. Which is essentially saying, all the time. The main reason to remain in Yellow when you’re home is because that is where you feel the most comfortable and more likely to let your guard down. And this is also where your family is. Living in Yellow is a good level of situational awareness—which needs to apply to everyday, whether you are working, shopping, working-out, or traveling. It’s not overboard, but it’s also not being oblivious. It’s the balance of being aware and observant and still being able to enjoy living your life without feeling paranoid. However, when you’re travelling, there’s another concept to keep in practice: the Grey Man concept. If you’re unfamiliar with it, it just basically a concept of blending in and not drawing attention to yourself. Of course, this is much more important especially if you carry—you want to have the element of surprise if you encounter a bad guy. Further, this concept does not just apply with the way we dress, but also our behavior—don’t start fights, get in loud arguments, be disrespectful; keep a low profile. Like I said, in your home town, you don’t necessarily need keep conscious of blending in because you probably already do! You are also more likely to know the particular dangers, and to know the people around you. But, applying the grey man concept when you’re traveling is particularly important. Dirtbags and predators look for the people in their towns with cameras slung around their necks, dazzled by the sights and sounds—in other words, they know how to pick out tourists from the locals. Be conscious of who is around you—walk with the locals if you are in a big city, not down the dark alley. If you’re lost, don’t panic and act like you’re lost. Follow the locals around the next corner, they likely will take you close to somewhere you want to go or a place where you can safely ask for direction. Don’t ask a suspicious person for directions; ask a hotel concierge instead. And keep your map-reading time (even if it’s google-maps on your phone) for when you know who and what is around you. Before you leave the hotel, ask the concierge which subway or bus to take, or for establishments that are within safe, walking distances. If you do a lot of traveling you probably already know to not display your wealth. But this is just a reminder. Wearing your $5k Rolex or an expensive necklace is just stupid—it makes you a target. Also, just like wearing a “I <3 NY” shirt in New York City screams tourist, so does wearing a camera (or having your phone out, taking pictures/selfies of everything and everywhere) or binoculars around your neck. Be conscious of the way the locals move, where they walk, how long they stay to drink their coffee at the café, the things they’re carrying. Do they have their headphones on? Are they wearing big sun hats or fedoras? Are they wearing backpacks? Carrying brief cases? How large or small are their handbags? These are the things, especially if you are in a place where you are carrying your CCW. 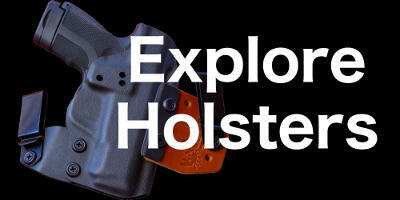 One final thing to keep in mind while you’re traveling is: what are the concealed carry laws in that area? I know this seems like a no-brainer, but it is vital. Can you carry in that state? Are there other restrictions you haven’t encountered or don’t have while at home? It is important to remain informed about laws in your home state, but if you are traveling into another (or even overseas), there are more laws, restrictions, maybe even additional training and licenses. Find out what they are well before your departure date so that you can adequately prepare. If you are unsure of the laws, the best thing to do is to seek legal counsel; this person will likely be able to provide you with more specific information that you can’t find on the internet (or explain things in case you get confused). The whole point here is to keep you from becoming a target. Your situational awareness should be switched to Yellow. Especially when travelling, you want to have the lowest profile you can get. What are some other travel awareness tips that you think I should add to this?